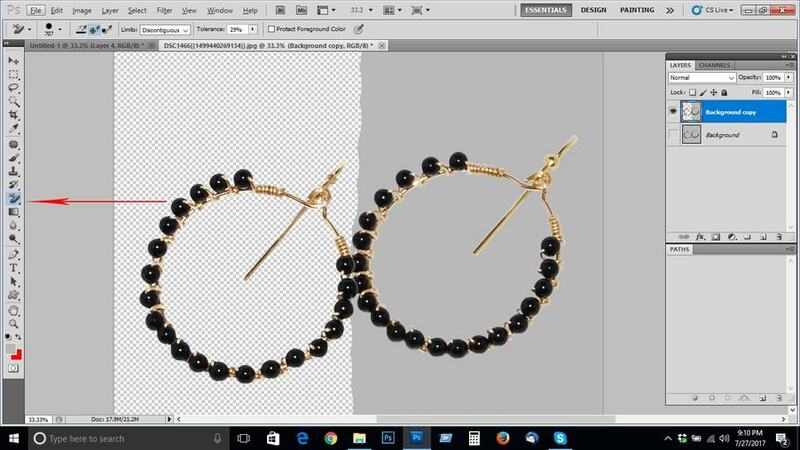 In this article we will show you the clipping path process using 3 Photoshop tools. Copy the background layer and turn off the main layer.Then select the Background Eraser tool. Customize the *brush size and the tolerance as much as you need. then click the left mouse button and brush through the background. Select the pen tool and choose certain points on the line surrounding image and move the points to where you want. press Ctrl +click path 1 then press Ctrl +j. New layer will be created and the background will be removed. In order to finish the background removal main background layer have to deleted or to be turned off. Copy the background layer and turn off the main layer and select the wand tool. Top of the page on the tool bar tolerance will be shown. Tolerance should be kept at 32. You can also increase or decrease the tolerance in order to match with the background. Now click on the background. The whole background have to be selected. Now go to the top of the page hit select Hit scroll down and click on inverse. Again go to the top of the page hit select scroll down and click on refine edge. now your background will be disappeared.